Of the Little Mill Distillery is said to be the oldest in Sc..
Little Mill was a whisky distillery in Bowling, West Dunbartonshire. It was on the border of the Low and Highland Areas and is generally grouped under the Lowland whiskys. 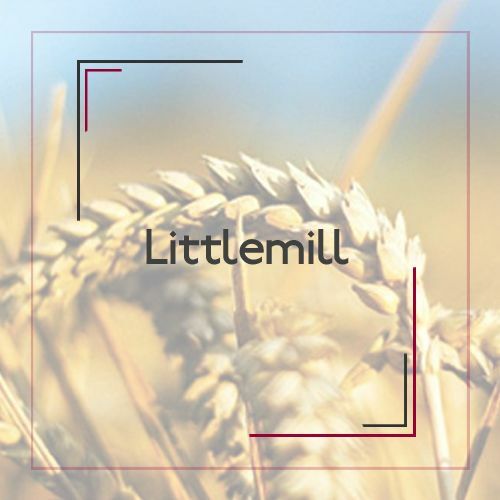 It is unknown when the first whisky is distilled at Little Mill. Little Mill was named in the 1750s when Auchentorlie Estate was sold as part of the estate. In 1772, there were houses built for excise tax officials raised on whisky distilleries. It is also the year in which Little Mill claimed to be. Founded Thus, claims the oldest distillery in Scotland to be. The distillery is then often changed owners. In 1817 Matthew Clark & Co. eigenaar.Nadat in 1823 the excise system for producing whiksy was modified, and official production was much cheaper, Jane Macgregor was the licensee for distilling. Around 1840, the Little Mill owned by Hector Henderson, a entrepreneur who was a shareholder in Campbelltown distillery in 1837, and was also the founder of Caol Ila. In 1875, when the property was held by Hay, the distillery was rebuilt and expanded. In 1929 the distillery was shut down. Production was resumed in 1931 when Duncan Thomas took over the distillery. He experimented with new techniques in the distillery. The malting process a Saladin Box was built with a unique design with two ventilation towers and a single drying oven (kiln). The copper boilers were outside of an aluminum skin features, and instead of a gooseneck recitficatiekolommen were on boilers fitted to regulate the degree. Distillation precise Instead of three-fold Distillation, which was common among lowland whiskys dual distillation was used. The distillery was in 1971 under the ownership of Barton Distilling, who was a shareholder since 1959. 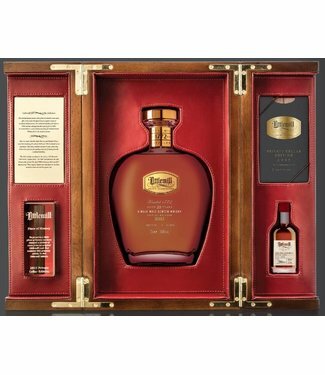 Barton was in 1982 bought by Amalgamated Distilled Products, which itself merged with the Argyll Group in 1984. During that year, the distillery was closed. In 1989 the distillery was open again, bought by Gibson International in 1989, but had to after bankruptcy Gibson International weather closing in 1994., The distillery was sold to the Loch Lomond Distillery, but not reopened, and finally dismantled in 1997. In 2004, the buildings still standing were destroyed by fire. The distillery has simultaneously created three different types of whisky, which was partly possible because of the different degrees of distillation recificatiekolommen that were possible: a heavily geturfte type called "Dumbuck" a full, rich whiskey "Dunglas" and a light, more traditional lowland under its own name "Little Mill". In 1972, the production of Dumbuck and put Dunglas stop.